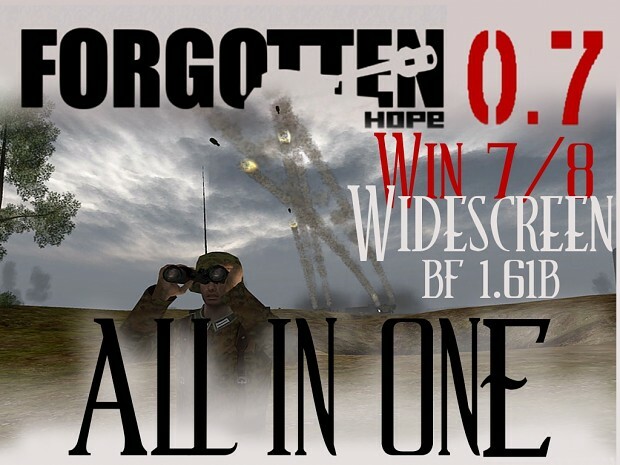 Today we want to present you this Forgotten Hope 0.7 full release, you don't need the three parts and patching before. Because now you do it with one step all in one. Next step is to create a standalone Forgotten Hope 0.7 Mod, which don't need Battlefield 1942 anymore as basic. We the players know that from another games like Project Reality, Day Z or Black Mesa for example. You don't know what is Forgotten Hope 0.7? Forgotten Hope is a modification for Battlefield 1942. This ALL in ONE version contains: - Forgotten Hope 0.7 installer - Battlefield 1942 NO CD/Widescreen FIX - Battlefield 1942 Win7/8 FIX - Battlefield 1942 Patch 1.61b. 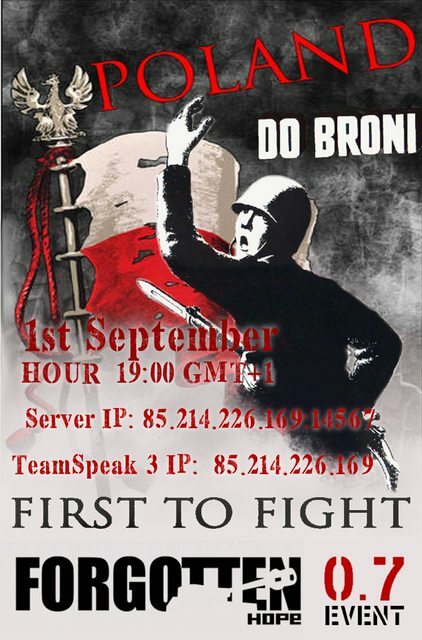 Polish Fighting Team is only continuer of their work. Controversy could command the date. It is to be clarified to portray the history of assault and defense in full its view. Especially, we want to care about the memory of Polish Heroes. It will be culmination of our (PFT mappers) 4 years effort. Re: Forgotten Hope 0.7 - All in One Version release! Will it work with my Origin BF version? I sometimes wish I still had my old copy of BF1942. Good luck to find players, I mean it ! Yes it doesnt matter you use Retail or Origin. All works fine. This download includes the Battlefield 1942 game, this is already patched to the latest version, including several fixes. This download is all you need to start playing Battlefield 1942 today! Click the button below to start your download. Where can you get the all in one today. Help!!! Just revisiting FH since somewhere around 2005, lol. Are there any active FH 0.7 servers?